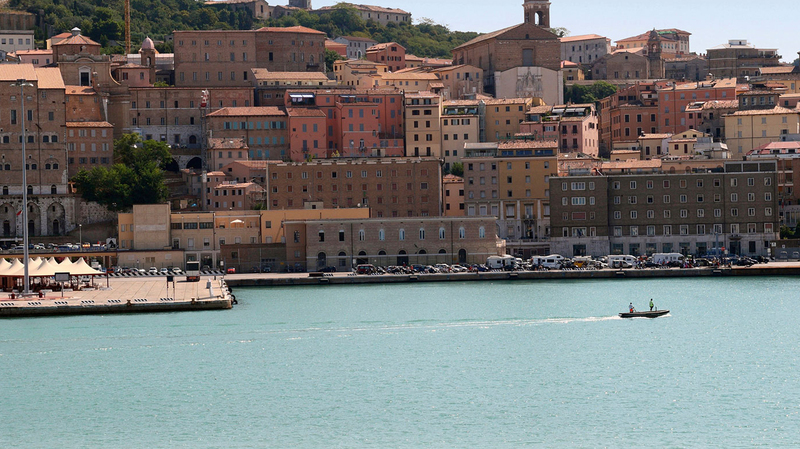 Search for the best flight prices from Stansted to Ancona. Compare prices, book today and save money with Stansted Airport. For a taste of the true Italy happily away from the tourist trail, Ancona is a hidden gem, nestled on Italy’s sun-kissed Adriatic coast. Here you can experience outdoor Italy at its finest, with a selection of pristine Italian beaches and authentic cultural sites that will leave any historical aficionado wanting more. Italy's sunny Adriatic coast is often overlooked. If you're looking for a slice of Italy away from the crowds, Ancona and its surrounding region delivers a caboodle of lazy beach days and hiking opportunities, combined with a healthy enough dollop of cultural sites to keep you busy. Accommodation is mostly in the mid-range bracket. Fiori del Conero (Via della Ferrovia 28A) and B&B Villa Ngioló (Via Marecchia 9) are both super-friendly, cosy choices if you want to stay near the centre of town. Quirky, colourful B&B Glicine (Frazione Montesicuro 211), 12km from Ancona, is the place to be for nature lovers looking for a holiday amid lush countryside. Keep your eyes peeled for good deals on Italian leather goods and high fashion, traditional lacework, and a bundle of locally produced delicatessen treats. Foodies should head straight to the daily market on Corso Mazzini where they can pick up ciauscolo (salami), olive ascolane (fried green olives stuffed with minced meat) and fossa cheese at the cheapest prices in town. Afterwards stroll further down Corso Mazzini and Corso Garibaldi to search out leather, lacework and original local art. High fashion fans should head south to the town of Civitanova Marche (50km from Ancona) which has a wealth of outlet stores selling designer fashion. The Marche region's simple seasonal flavours are a treat for your taste buds. Look out on menus especially for the regional speciality vincisgrassi (a casserole of meat and pasta). Sample some of the best local cuisine Ancona has to offer at Il Passetto (Piazza IV Novembre 1) and La Moretta (Piazza Plebiscito 52). For something a little cheaper, La Cantineta (Via Antonio Gramsci 1C) serves up hearty plates of seafood and pasta at prices that won't break the bank. Those wanting to sample some of Marche's renowned tipples shouldn't miss a trip to Enopolis (Corso Mazzini 7) where you can glug back fine wines with some succulent fish dishes. A four-month programme of outdoor evening entertainment – featuring cinema screenings, theatre and dance – brightens the long, hot summer nights in Ancona. There's free entry to most events. Ancona's annual celebration of jazz sees local and international artists stage a series of concerts at venues throughout the city. The region's biggest annual event is dedicated to the music of the 1940s and 1950s and sees bebopping rock-and-rollers from across the globe flock to this usually sleepy area to boogie along to big-name bands and singers from the US and Europe. This 15-day musical spree celebrates the history and culture of the Adriatic. It's a great chance to catch performances by local musicians. Most concerts are held at the open-air Lazzaretto venue. Honouring Ancona's sea-faring heritage, this one-day festival sees the city's seafront area become a carnival of street musicians and artists, food stalls and fairground rides while the annual sailboat race sets off from the dock. The day's family-friendly fun is finished off with a massive fireworks display in the evening.